By now you are already aware of how crucial pacing is on standardized tests like the TOEFL; solid pacing is a make or break skill as time management is one of the greatest hurdles students must overcome when preparing for the exam. Allotting your time wisely on the independent essay can make all the difference for your writing score, but knowing how long to spend on certain tasks is no less critical on more structured areas of the exam, especially the Reading section. While the Speaking and Listening sections tend to move you along (regardless of whether you are ready or not), the Reading section is largely self-paced. So how should you spend those 60 (or 80, depending upon whether or not your test has the extra, experimental passage) minutes to maximize your score? The notion that you could read roughly 800 words in 7 minutes and then read and answer all the questions in 13 minutes to keep up with the one minute per question guideline might seem like an overly optimistic time frame for many, but by adopting one of the reading strategies below, you can get closer to this benchmark. However, there is no clear consensus among test experts on which reading tactic always leads to the highest score. There are a few different approaches for how to read passages as quickly as possible. The reason for this is that reading on these types of tests is not a one-size-fits-all endeavor. In other words, the best strategy really depends on the individual student. To determine what will help you keep up with the rapid rate of well under 10 minutes per reading passage and one minute per question, I've put a number of the top suggested strategies in one place, complete with their pros and cons so you can find what works best for you. How it works: This approach preaches reading only the sentences that are likely to be pivotal for understanding, such as topic sentences, transition sentences like those that begin with “In other words” or “However,” or other similar trigger phrases. Advantages: You will skip over less important sentences, saving you time the day of the exam. Additionally, skipping some of those sentences will actually save you from some of the distracting and incorrect answer choices because you completed glossed over those sentences in the first place. Disadvantages: You will need to be very, very good at locating clue words in order to take advantage of this strategy. It is also easier to miss the occasional major point because it is hidden in a sentence that did not contain the clue words. If this technique speaks to you, make sure that you practice it on a regular basis, both in situations that directly relate to preparing for the TOEFL and in those that don't. Reading text that is made for consumption on the internet should give you a good starting point because this type of content is typically made for skimming, making it easier for you to practice locating those words and phrases. Advantages: You do not have to be good at locating clue words without reading; instead, you can find the clue words as you read and focus your attention on those particular sentences. Disadvantages: This approach is slower than the first approach. You will need to be very careful that you do not take too much time inadvertently on your initial read-through of the passage. Also, you are more likely to encounter those distracter sentences using this method. How it works: Students find only the subject, verb, and object in each sentence to find only the most vital information. Although test-takers are "reading" every sentence, they are not actually interested in all words in the sentence, saving some time. Trimming is a method students who are preparing for exams like the SAT might be familiar with as this is an excellent way o check for grammar issues, especially subject-verb agreement problems. Need a more in-depth tutorial? You can find one here. Disadvantages: You are going into the questions blind, making it extremely difficult to put together main ideas and locate information. It might seem like you are saving time, but all of the time you eliminate from the beginning will actually just be added to the time per question, so you may not actually save time and it may make getting into a rhythm more difficult. Advantages: This approach is very, very fast and could potentially benefit you outside of these exams. Disadvantages: This takes a lot of practice and it is uncomfortable for most students, including native speakers. Most students intuitively “hear” in their minds the words that they are reading, and that is a cardinal sin when it comes to speed reading. However, this is an extremely difficult habit for most of us to break, and it requires retraining your eyes as well as your brain. If speed reading is something you want to try out, see how well you naturally do with the Wall Street Journal's speed reading test and mini lessons on the topic. Get additional practice at a level and on a topic of your choosing here. Regardless of what strategy you select for reading the passage, I would strongly recommend to “peek” at the questions before reading. I am using the word peek instead of read to indicate a real difference between your level of involvement with the question. Identify just the main word or phrase so you know what you need to look for. The passage will be easier to comprehend if you go in with a clear focus. One thing that is universally true about all of these approaches is that you do not want to read, remember, or even understand everything. All you want to do is get the gist—the main idea. For the few detail questions you will have to answer, you are going to have to go back to the passage anyway as the wrong answers often look more attractive than the right answers for this particular type of question. When answering detail questions, you should try to predict the answer so you know what to look for in the paragraph. Although detail questions are important, vocabulary in context and referents questions, for example, do not require an understanding of the entire passage, and they make up a significant chunk of questions asked. Read frequently in English, practice whichever strategy you will use well before test day, and be sure to track the types of questions you are getting right (or wrong) on the Reading section with the free printable. Thank you! 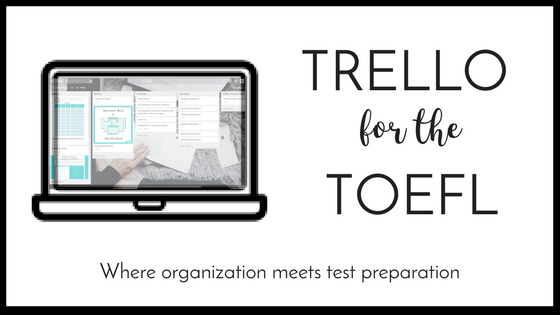 Click here for your FREE TOEFL Reading Tracker, and be sure to keep checking your email for more great TOEFL tips and tricks.